Welcome to the University of Zenica! 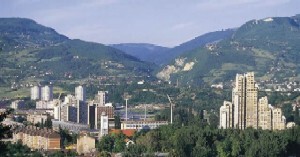 The UNZE Informational Package is intended to provide all students with a great deal of information useful not only for getting acquainted with the University of Zenica, but also for choosing their faculty, or study department and for providing other information necessary for making important decisions concerning other aspects of studying, living and working. It is certain that this kind of document cannot provide students with all information they might need in this town, but it undoubtedly gives a satisfactory list of valuable information. The limited circulation of this publication makes impossible to elaborate on every point of contents, therefore the readers are directed to other sources that could help them obtain all the information they may need. For this purpose, many helpful addresses are listed here. 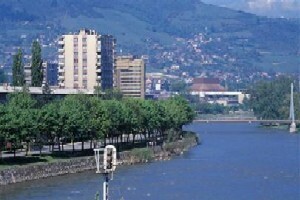 It is our wish that you start your academic career at the University of Zenica. Our aim is that you also complete your academic career at the University of Zenica whether as a graduate student or a candidate for a master’s or doctor’s degree, who would be able to launch his/her knowledge and skills in any part of the world. Academic knowledge that you would acquire is that of universal value. In this respect our intention is to be at your service to the utmost. According to the Bologna Process and through real mobility which we strive towards, we will enable you to acquire some knowledge outside our institution in those segments other universities are better than we are.